This year’s 2018 Australian Grand Prix kicks off today with four action packed days on and off the track in Melbourne. This year’s Australian Grand Prix Ambassador is Brooke Meredith, entrepreneur and founder and Editor in chief of lifestyle publication, A Conscious Collection. We managed to catch up with Brooke ahead of the Australian Grand Prix to talk fashion, beauty and what it’s like being the face of the Australian Grand Prix. Congratulations on being the Australian Grand Prix ambassador this year! What has it been like so far? 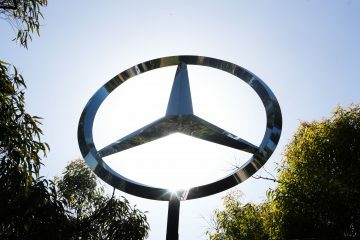 And what are you looking forward to the most during the Australian Grand Prix? Thank you! It’s honestly such an honour and I have been loving every minute of the lead up working with the Australian Grand Prix team. I cant wait to kick it all off tonight with the official launch party; Glamour On The Grid that leads into the 4 days that will see me trackside. I’m incredibly excited to meet the drivers, especially our homegrown, Aussie boy Daniel Ricciardo. I have so much respect for their dedication to their sport and am looking forward to celebrating and cheering these legends on. Do you have any fashion tips for anyone going to the GP or Glamour on The Grid? Glamour On The Grid is your chance to bring you’re A-game, don’t be afraid to step it up a notch and really accentuate all things glamour. I’d keep it chic, stylish but add a little bit more sparkle and polish to your usual affair. For the race days, keep it practical. You will be on your feet so a good pair of boots is always going to be your best friend. You’re working with uber stylist Lana Wilkinson! 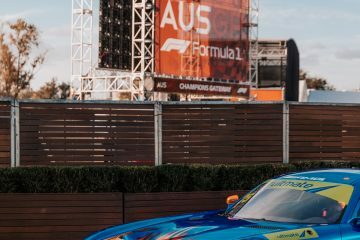 What goes into planning the fashion you’ll be showcasing in the lead up to the Australia Grand Prix? Aren’t I incredibly lucky to have Lana by my side. She honestly knows how to make a girl feel a million bucks. We’ve had so much fun playing dress-ups over the course of the last couple of weeks and I can’t wait to show you all what I’m wearing. For us we are looking at multiple outfits for the different commitments with the Grand Prix. So, with keeping that in mind we go through a selection of things to really see what resembles that event / day the best, what suits my body shape, what is on trend and ahead of the fashion game and of course Lana is great at ensuring I feel comfortable and confident in what we decide on which is always so important. Can you give readers a sneak peak about your fashion and beauty looks for the GP? What are some of your key beauty products you use as part of your beauty regime and do you have any beauty tips for our readers? A good skincare routine is always important. I use SKIN by Ecostore and their all-natural skin care really helps to cleanse and calm. I’ve also been seeing my skin angels at Clinica Lase every 2 weeks for the last 6 weeks in the lead up to this week to ensure I was GP ready. They have been using a mixture of peels, laser technologies and advanced treatments to really ensure my skin is at it’s best. In addition to being the Australian GP ambassador, you’re the founder and Editor in Chief of lifestyle publication, A Conscious Collection, as well as busy working with a lot of various brands and modelling! How do you maintain a sense of health and wellness with all these different activities on your plate? I must admit, it’s not always easy. Life gets so busy and I sometimes forget to priorities my health. I do however make sure I’m always maintaining a healthy balanced diet, which is pretty easy as they are the foods I crave. I also schedule in my workouts as I would a meeting. That way I always have time in my calendar for what’s most important. Myself and my health.